Have you ever been waiting to hear some news, not knowing if it was going to be good news or bad news? 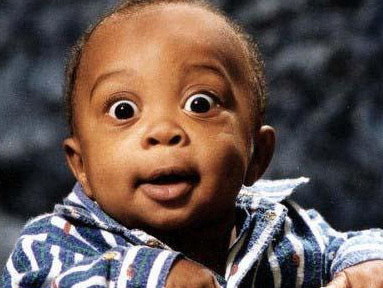 Then when you get the news and it is even better than you were expecting, you just can’t believe it! Beyond Relief has been awarded grants from The P&G Alumni Foundation Fund of The Greater Cincinnati Foundation in 2012 and 2016. Because of these two $15,000 grants the trade school was able to add two very popular skills training classes, computer and sewing. 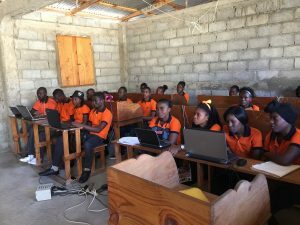 The computer class has been such a great success that there has been a significant increase in the number of people in the community that would like to attend the class. We would love to be able to provide even more young adults the opportunity to learn computer skills, but we are currently limited by the number of computers that we own. We are extremely excited to announce that Beyond Relief has been chosen to receive one of the few grants that The P&G Alumni Foundation Fund of The Greater Cincinnati Foundation awarded for 2017! This grant for $25,000 will allow us to fund a large part of a project to add more laptop computers, enclose and air condition the computer class room to protect the computers and add more solar power to help with the additional need for electricity. We are extremely thankful!! Though the grant funds the majority of the project, there is still additional need to fund the solar system. Please consider making a one-time donation of $100, $500, $1000 or more that can be applied to purchase everything for the solar system. To donate mail checks to P.O. Box 156 Rossford, OH 43460 or donate online at GoBeyondRelief.org Keep the surprises coming! Rita2018-01-16T21:23:19-05:00January 16th, 2018|Comments Off on We just couldn’t believe it!